Back when I was in high school quite a few of my classmates drove British cars. They were cheap, cool looking, fun to drive and economical. They were also unreliable, but that's how many of us learned basic auto repair. 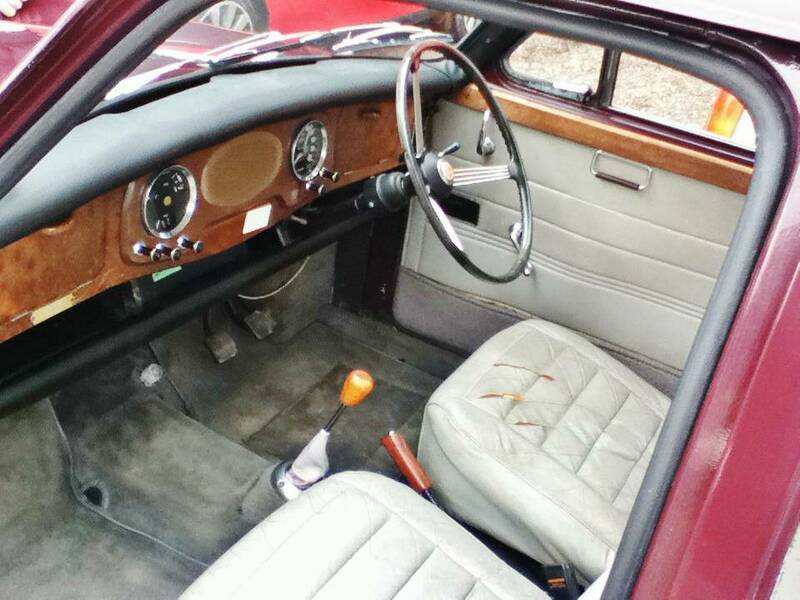 Many of the British cars through the late sixties were positive ground cars. The positive, not the negative, connection of the battery was grounded to the chassis. I have no idea why the Brits did it this way (Ford and a few other US manufacturers had positive ground systems in the 1940s and early 1950s), but I'm sure there was some sort of jolly good reason. 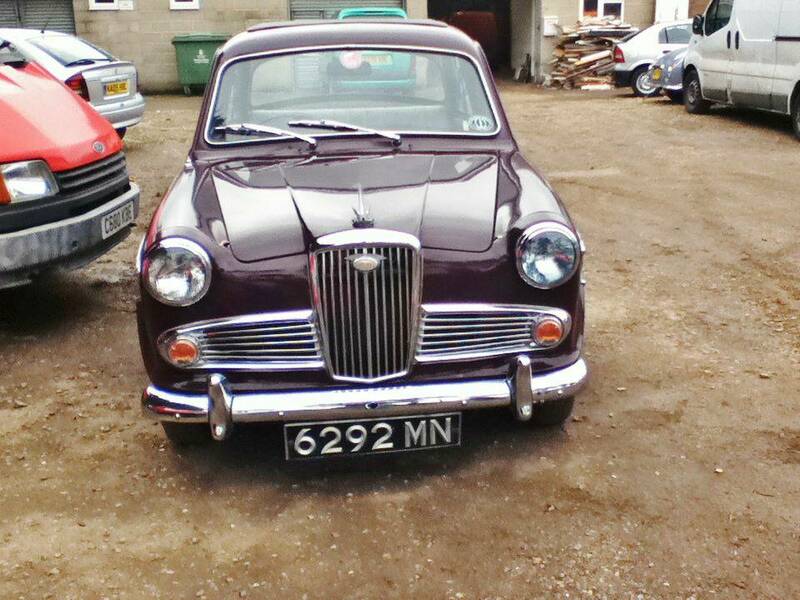 This Wolseley 1500 is a positive ground car. The seller had it shipped from England. Unfortunately, someone at the port in the US didn't know about positive ground. (Probably because he or she was born decades after most positive ground cars had long disappeared from the earth ;-).) While trying to jump start it they hooked up the cables wrong. The electrical system is now somewhat or totally fried. Ooops. Other than the cooked electrical system, this Wolseley looks to be in nice shape. The seller says that there are only 49 Wolseleys in North America. It would be a hit at any car show. 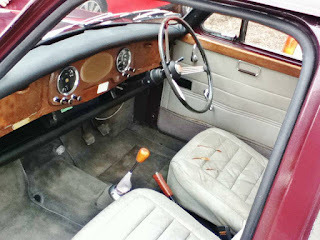 Despite their reputation for electrical failures, older British cars have fairly simple wiring. If you have any automotive electrical knowledge, getting this car back on the road could be a weekend's job at worst. Located in Chicopee, MA, click here to see the Craigslist ad. PS - You can convert a positive ground car to negative ground. But, why bother? Keep it original. Just look over the shoulder of anyone trying to jump start it. Nice car! Is it a British license plate? Love this blog and the old school format. 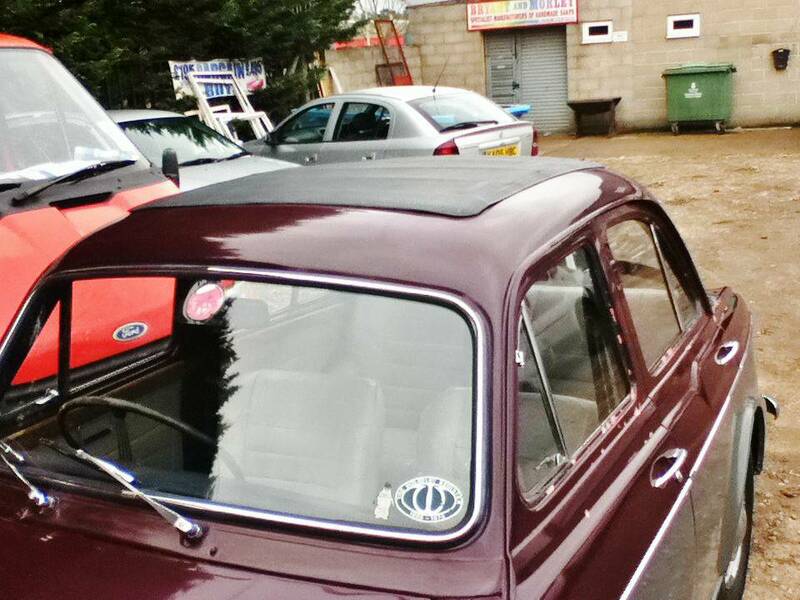 Time capsules of the finest order like that 1979 Fiat you posted are a dream. Makes me miss my old BMW. Love classic cars and anything from the 80s. 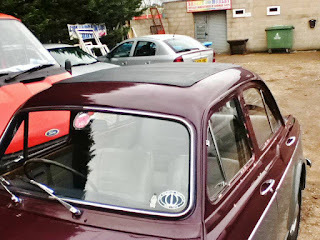 Hope you revive this car blog! !